Planning a baby shower, bridal party get together, ladies night, family get together, birthday party, or just looking for a reason to craft? Look no further! Our hosted parties include a knowledgeable instructor on site for 1-3 hours. Take away all the worry and stress of planning a group craft, and let us handle it. LCN instructors arrive at your doorstep, crafts in hand. By selecting a hosted party we can provide you and your guests with even more options, supplies, and tools. This gives your guests the opportunity to really put their personal touch on a selected craft. Get one on one attention to help answer any questions you may have. All of your guests will leave with their beautifully completed craft, add an LCN tote for even more fun! With the purchase of a hosted craft party you will receive your very own event page. Here, you and your guest's will be able to log into this secure page to check party details such as time, location, project notes, as well as pay for their individual craft. Remember when we said we would take away the worry and stress? We meant it! Guest's will be able to pay for their own craft, on their own time. LCN will keep track of all payments for you. Send us your guest list and we will provide all your guests with an invite via email, instructions to your party event page, as well as a reminder email. Did we mention we understand the additional cost a host will incur while planning a party? Not to mention the time they will put into getting ready. That's why we let you, the host craft for free! To schedule your party now please click on the schedule a party button below. Don't see the craft you were looking for? No worries, just send us a message and we will help you find a craft that suits your needs. What girl doesn't enjoy a glass of wine with her girlfriends? Exactly! Add a wine tasting to your party, let us know in the notes section. Since every craft is different and each budget is as well, LCN will work with each Host individually. This way we can plan a party within your budget and with a craft you love. *Parties must be planned 3 weeks in advance. cards with rhinestones, pearls, ribbon, embossing, stamps, glitter, and more. Hand beaded wine charms! Many beads and pearls to choose from. Honestly what girl wouldn't love to adorn their wine glass with a pearl necklace? Ever consider learning how to sew? What better way then with a straight stitch to make a beautiful necklace. Make one for yourself and take one home for a gift! Beautiful way to decorate your door for the holiday's or just because. Pick from an array of colors and add your own ribbon sculpture. Remember that old tshirt you never wear anymore? Turn it into a stylish necklace! Perfect addition to any outfit, have more than one? Make one as a gift! Perfect way to let your inner crafty lady shine! Customize your own set of coasters with a huge selection of stamps & colored ink. Perfect holiday gift! Classy & elegant way to welcome guests into your home. Twine wrapped wreath, add felt rosettes, buttons, and ribbons to personalize. 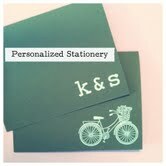 Create your own set of personalized stationery. Learn all about embossing and personalize cards to send out for any occasion or just because. Planning a DIY wedding? Let us help, what better way to prepare for your wedding than getting your bridesmaids together for a night of great wine & crafts? Minus the STRESS! Seriously? This is not your mother's mistletoe. Give this holiday classic a refreshing update. Great stress free way to celebrate the holidays with your favorite group of Ladies. Elongated Multi-Bead Necklace. Gorgeous addition to any outfit. Forget that $50 necklace at Macy's and enjoy your own personalized handmade necklace. Celebrate the Red, White, and Blue with the beautiful yarn wrapped wreath. Great structured craft idea for beginning crafters. Personalized notecard sets. Emboss, stamp, cricut cut, punch, rhinestone, bead, you name it we've got it! Have fun making a one of a kind set of cards for yourself or friends! Dressing up? We've got the perfect match for that little black dress! Large crystal beads are strung through and folded onto a piece of gorgeous satin ribbon. Don't see what your looking for? No problem, we are always thinking of new projects! Have an idea send us a message and we can help you. Let us match you with the perfect craft!